Explore Tenorio Volcano National Park and the Rio Celeste, located in the province of Alajuela, on this guided all-day tour from San Jose. 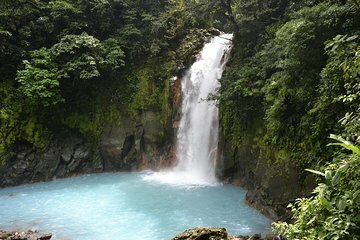 Stop at the Celeste River Waterfall, view the craters of the Tenorio Volcano, and check out the Blue Lagoon and learn how it gets its namesake color. Along the way, spot the local flora and fauna and capture plenty of panoramic shots.